Going to concerts is a favorite pastime for music fans all over the world. From rock concerts to jazz performances, bluegrass bands to electronic dance music, there is no shortage of concerts that will strike any music lover's fancy. If you are planning to attend a concert, either alone or with friends, there are some items you should keep handy to ensure an enjoyable night. A little preparation will make you comfortable and allow you to focus on the performance. It might seem that this is a given, but it is absolutely essential to bring tickets to concerts for entrance. Nothing spoils a concert night quicker than arriving to the gate and realizing the tickets were left at home. If you are going with a group of friends, communicate with one another to be clear who is responsible for holding onto the tickets and where they are being held. 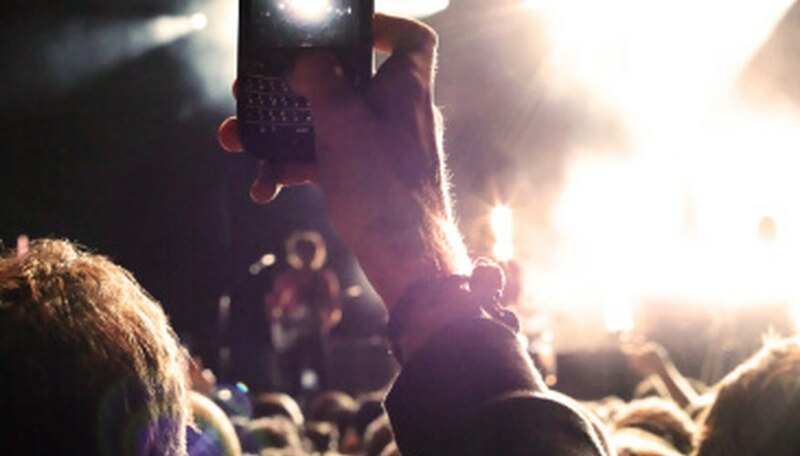 Taking pictures at the concert is the perfect way to preserve memories of the event. However, it is important to check the venue’s website for information on what cameras are allowed. Some will not allow you to bring any cameras inside the venue at all, or some will deny entrance to those with attachable zoom lenses. Others will ask that you do not use flash photography. Because you want to protect your investment, it is not a good idea to bring very high quality cameras to the event that can become damaged if bumped or stolen. Instead, bring an ordinary point-and-shoot or look for a disposable film camera. If your cell phone features a camera, this is an easy option for taking pictures as well. It will also allow you to keep in contact should you get split up from friends at the show. While many shows are all ages, others have a minimum age for entrance. Bring a state ID, passport or driver’s license that you can use to verify your age at the event. Bringing your ID is also essential if you purchased tickets ahead of time on “will call” that you intend to pick up on the day of the event. If you purchased the tickets with a credit card, it is a good idea to bring the card with you to verify your purchase. You may have bought tickets in advance, but there are often unexpected costs that can arise when going to a concert. It is always best to have cash on hand in the event that the venue does not accept credit card or check. This will save you the hassle of paying expensive ATM fees at the venue if one is even available. If you plan to buy merchandise at the concert, you will want to have money on hand. You should also be prepared with cash should you need to pay parking fees or purchase food and drinks. Check the venue for information about the setting. If the venue is outdoors, it is a good idea to pack a sweater in case it gets cold. If it rains, you may want to be prepared with an umbrella or poncho to protect your clothing and belongings. If the venue is outdoors and during the day, it is also a good idea to bring sunscreen, sunglasses and a hat. Earplugs are also smart for protecting yourself against hearing damage at particularly noisy shows.